Ever since Linda was a young child, she has been intrigued by little books. 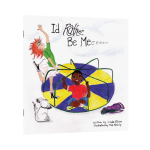 At home on the farm, money was not plentiful, so a new book had special magical powers, transporting her on exciting journeys and stimulating her already active imagination. This early fascination with words and pictures has stayed with her throughout her life, spurring on a natural inclination to dream. When her work lead her to education, her belief of “if you can read, you can do anything” was the message she tried to instill in her students. After retiring, she was in need a hobby and decided to write children’s books for her own enjoyment. 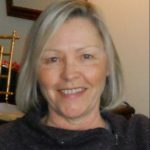 After meeting with the team at Cavern of Dreams Publishing, she knew it was an excellent fit to help provide a broader audience for her books. 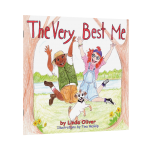 Recognizing that children need to have fun, Linda’s stories are written in rhyming text to encourage young readers. Her dream is that they will be entertained, and hopefully incite their imaginations and help create a “love of language” that will remain with them forever! Linda currently resides in Lindsay, ON.